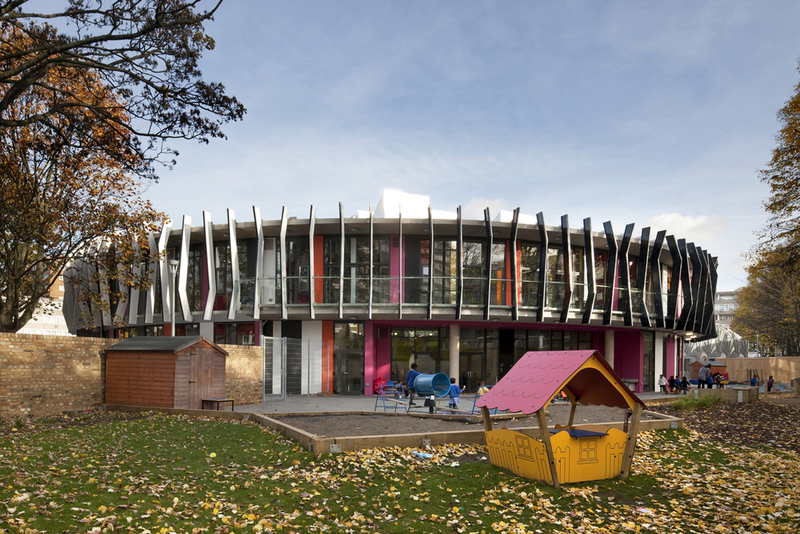 The New Michael Faraday Community School is the flagship project for the regeneration of the Aylesbury estate in the London Borough of Southwark that takes the form of a distinctive circular building. 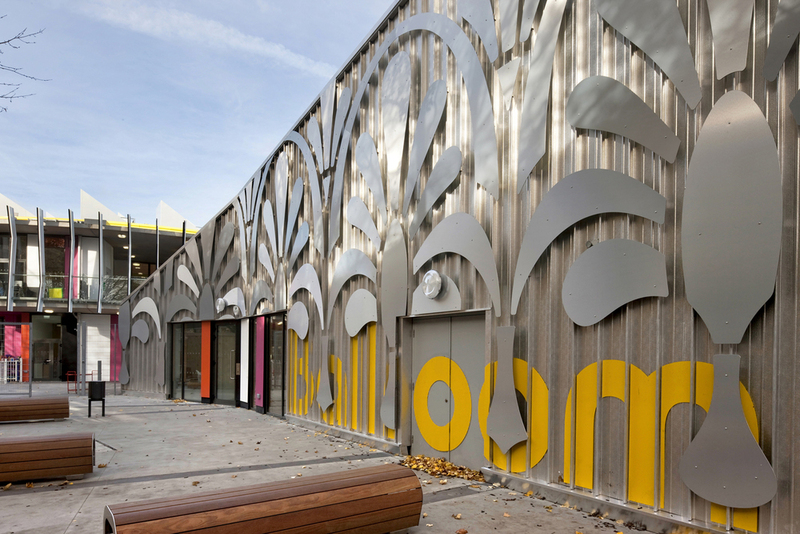 It provides nursery, primary school, adult education and community facilities arranged over two floors that maximises the site for outdoor learning. It features a diverse range of flexible learning spaces capable of supporting different teaching and learning styles. In the circular main building teaching space is arranged as a ring of cellular accommodation around the 'Living Room' - a large open-plan flexible learning environment including dedicated classrooms and a large art studio that supports the onsite adult learning. Every classroom has the use of an outdoor learning environment and younger learners are accommodated on the ground floor with direct access out into the landscape. A continuous external balcony provides external teaching spaces to the upper classrooms for older learners and provides cover to the outdoor learning spaces below.